My project is the Simon Says Game. In this game there are four LEDs and four buttons. Music will play from the buzzer while the LEDs light up matching the music. Then the game will start. A LED will light up and you have to click the button matching the led that lit up. 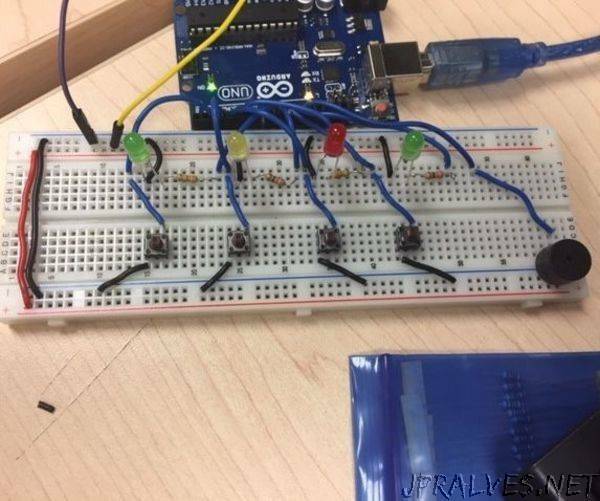 If you get it right the LEDs will flash and music will play from the buzzer and if you get it wrong less will flash and different music will play from the buzzer. The Game will automatically restart when you lose.